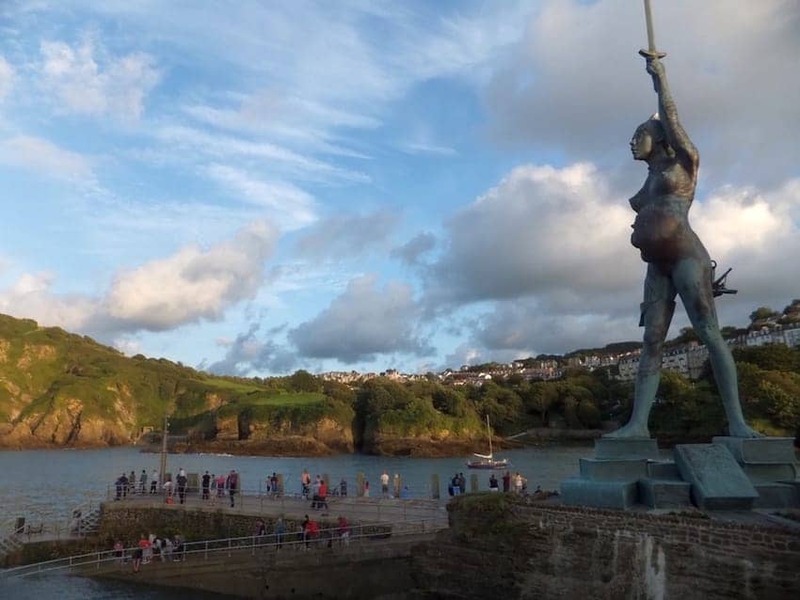 Verity is a stainless steel, fibreglass and bronze statue located in Ilfracombe, Devon, created by infamous sculptor and resident Damien Hirst. The 66.4ft (20.25-metre) tall sculpture, the tallest in the UK, stands at the entrance to the harbour. Hirst describes the work as a 'modern allegory of truth and justice'. The statue is a pregnant woman holding a sword to the sky and carrying the scales of justice whilst standing on a pile of law books. Half of the sculpture shows the internal anatomy of the pregnant woman. A controversial choice, the statue is nevertheless a boost to tourism.